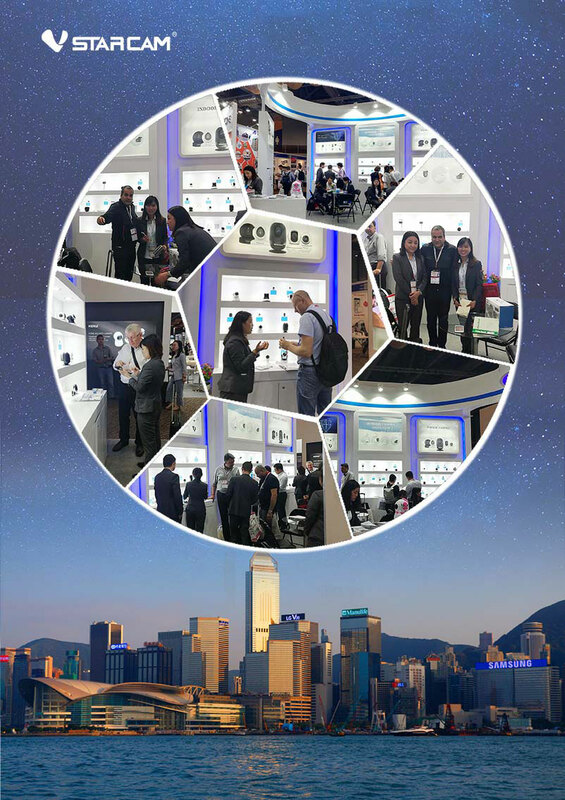 Global Sources Electronics is the world’s largest electronics trade fair which opened on October 11, 2018 at AsiaWorld-Expo in Hong Kong and comprises two phases – Consumer Electronics & Mobile Electronics. The flagship trade fair of Global Sources, it features 7,500 booths of the hottest electronics products from China, Korea, and other Asian countries. The new products presented by VStarcam on the first day were attracted most visitors’ attention. VStarcam network camera products are designed according to the market and customer demands, both in function and appearance. Copyright © 2011-2019 VStarcam All Rights Reserved.